If you are going to step into a boxing ring then you need to be as fit as you possibly can be. Boxing without the necessary speed, strength and resistance is likely to end in disaster, as a fitter fighter can inflict a lot of punishment on your tired body. Using a jump rope is a vital part of any boxer’s exercise regime. This method of working out will give you faster feet, better balance and greater endurance, which are all crucial attributes for a fighter to possess. At first sight, you might think that all boxing jump ropes are essentially the same but there are some important differences that you need to be aware of in order to choose one that is perfect for your needs. By understanding what the best jump ropes are like you can make an informed choice and move your fitness on to a whole new level while having fun. Now, if you’re in a rush and just want to see the best boxing jump ropes, here’s a quick link list below. The first thing you should look at is the construction of the rope you are interested in. Will you chose a classic design like Rocky used or something more modern and slick? 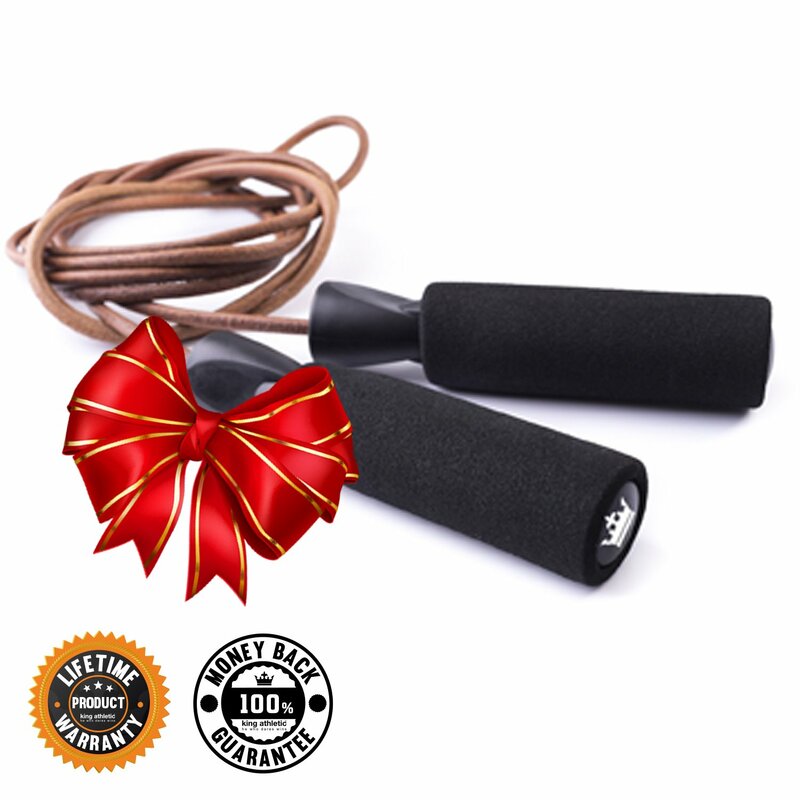 You must buy the best boxing jump rope for your needs. The following are some of the materials used in the jump ropes that you will find for sale. Leather. This is a durable and lightweight material that has the added bonus of making a terrific whipping noise when it cracks through the air or hits the ground. On the downside, you normally need to cut it to size rather than being able to adjust it. If you are a beginner that you will find that it hurts when it hits you too. Stainless steel. This type of rope is lightweight and flexible. Typically, it is covered in some sort of plastic or PVC coating. These are often cheaper than leather ropes and not quite as fast. Rope. Strange as it might seem, very few if any boxers will use a traditional cloth or fibre rope these days. The options above are faster, lighter and more durable. Beaded, segmented rope. 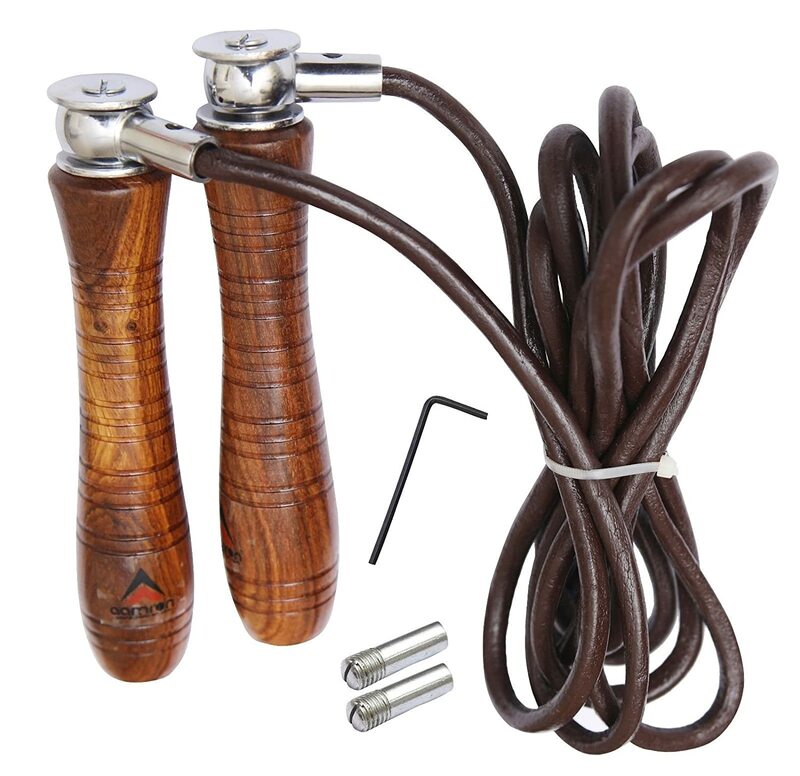 This retro style of jumping rope has made something of a comeback in recent years. They are good for getting started on skipping but a serious boxer will want one of the speed ropes we looked at above before too long. Since boxers use these ropes for speed – they are often called speed ropes, after all – the weight is vitally important. Basically, the lighter the better, as the best jump ropes will let you whip them around your body several times a second for a more complete workout. 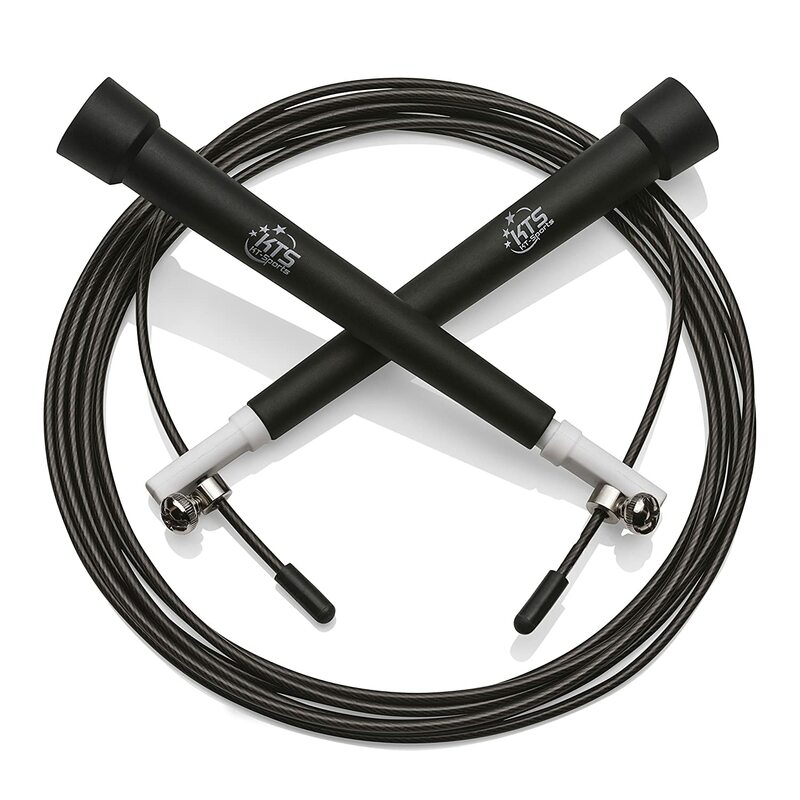 The handles are usually weighted on pro skipping ropes, as this gives you a better grip and also increases the effectiveness of the workout at the same time. However, this can make life more difficult for a beginner who is slowly boosting their fitness levels, speed and confidence. A good jump rope for boxers will typically be close to 3 metres long, which is suitable for someone up to around 6 foot 5 or so. They can then be either cut or adjusted to size to suit your height and workout preferences. If different people of varying heights are going to be using the rope then you will need one that can be easily and quickly adjusted to suit them. If you are going to be using it alone then this probably isn’t such a big issue. However, if you are going to cut it then you will want to be completely sure of the length you need before you do so. There a few different ways of getting the right size of rope for your height. Typically, it will be around 3 to 4 foot longer than your height. For example, someone around 6 foot tall will be looking at using a 10 foot long rope, although not everyone will give you the same answer to this question. Having said that, the length that you are most comfortable with may also change as you become more adept as using it, fitter and faster too. Making a good decision and getting the best jump rope for your needs will make your training so much easier. On the other hand, a poor purchase is something that you will regret later on. How Easy It Is to Adjust. Some ropes are adjusted very simply just by turning a screw. Others are somewhat more complicated or need to be cut rather than adjusted. If you are just starting out you might prefer one that is easy to adjust, as it may take you a few attempts to find the perfect length. Portability. Most of us will take our jump ropes to the gym or to wherever else we work out. This means that you will want one that is easily portable. Some of the best jump ropes for boxers come with handy carry cases for this reason. Speed. At first it might seem impossible that you will ever achieve the crazy speeds that pro boxers can get up to while skipping. Yet, over time you will get faster and will want a rope that is fast enough for you. Ease of Rotation. You will see that a lot of adverts for jump ropes talk about the ease of rotation. This is what will allow you spin it round quickly. Some have 90 degree systems and others have 360 degree rotation. Can It Be Used Outdoors? Might you sometimes use your jump rope outdoors? This is a terrific way of livening up your training routine if you can do it. Rope that are suitable for outdoor use will give you a lot more versatility in the long run, even if you don’t expect to go out with it just now. The Cost. Naturally, a newcomer to boxing might not be so keen on spending a lot of money on their training accessories as a pro will. Yet, if you get a good value but high quality rope then it will turn out to be a fantastic investment. The Looks. There is no denying that it looks fantastic when a boxer goes skipping with a quality rope. This might not seem very important when you buy one but it may help your self-confidence when you first hit the gym. The Grip. 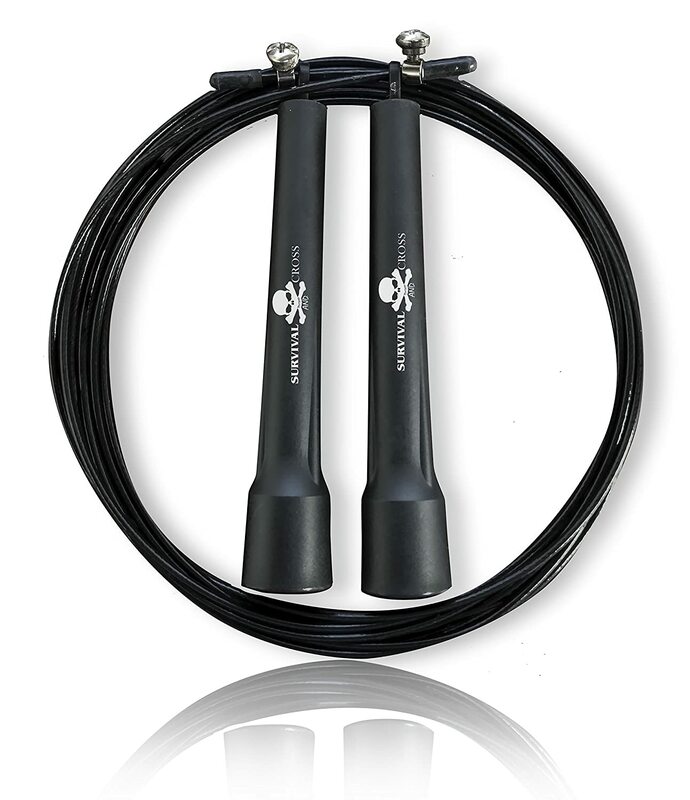 A comfortable, weighted grip will let you feel completely in control of your jump rope at all times. If you are just starting out then heavy handles will slow you down, though. The Warranty. Many of the top jump ropes for boxing training come with long warranties. 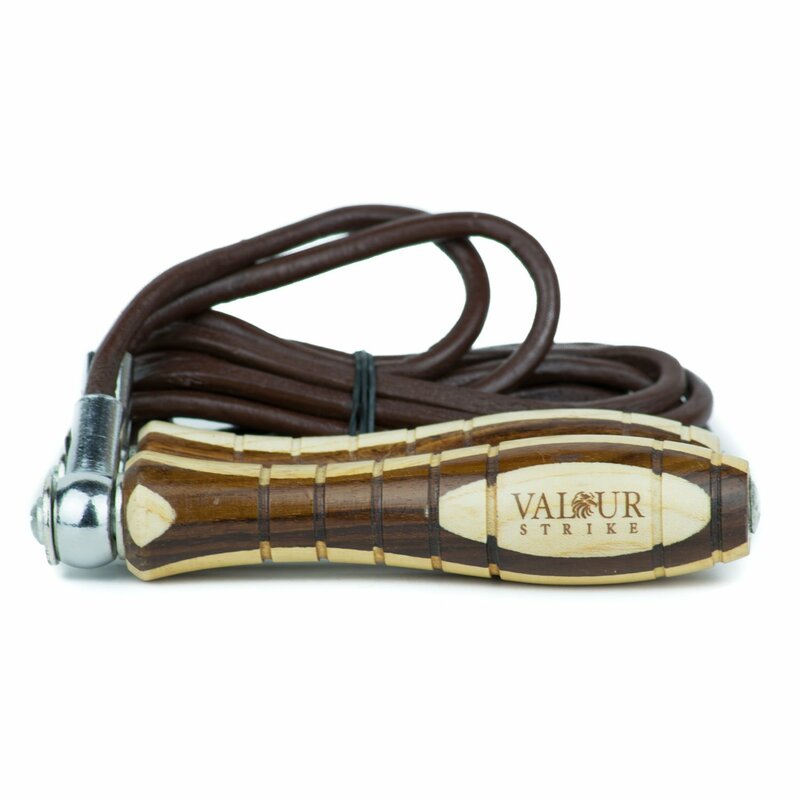 Some even have a lifetime warranty that will put your mind totally at ease. No tangling. 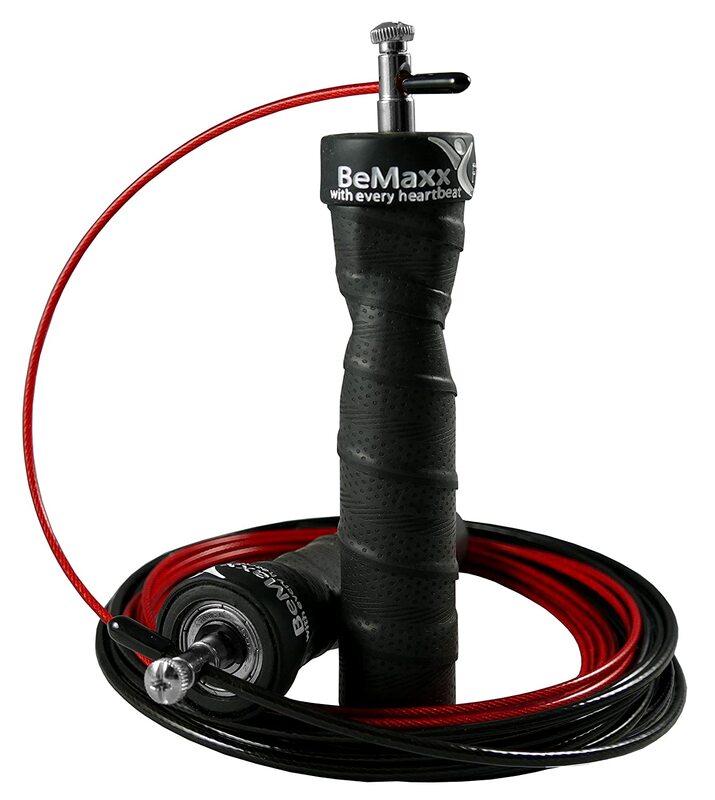 Finally, any speed rope for boxing that you buy should be tangle-free. No matter how fast you go you need to feel the confidence of a rope that won’t let you down at the critical moment. You probably don’t know many of the top skipping rope brands when you first get started. However, if you take a look at what other boxers use you will soon see the same brands cropping up again and again. Ballistyx. Among the best but most expensive brands, Ballistyx offers cleverly designed, tangle free speed ropes. They have a lot of great features and are useful for anyone who is planning to get some serious skipping exercises done. Adidas. 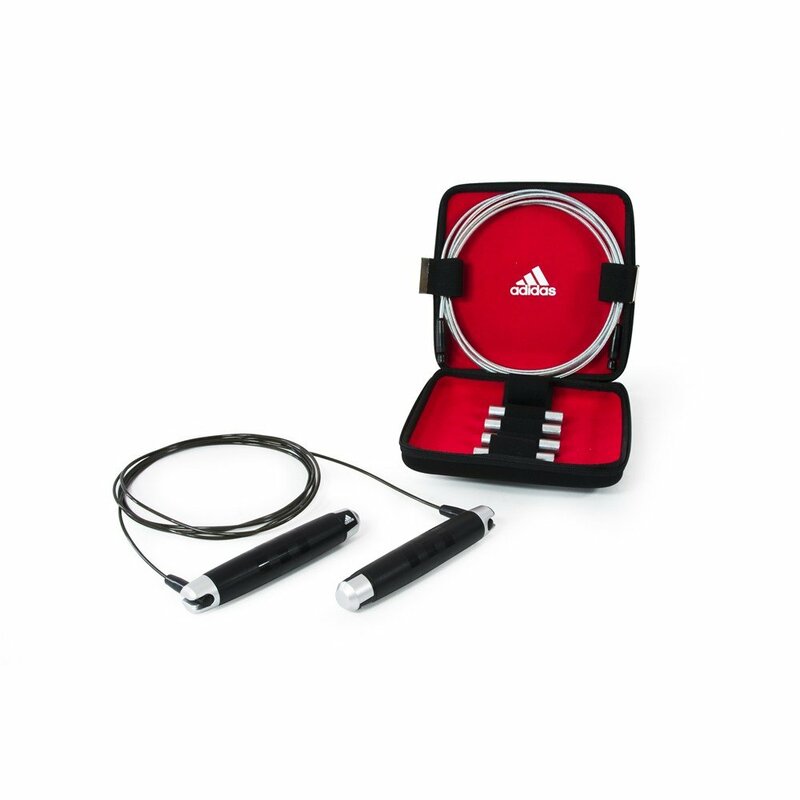 Of course, you have already heard of Adidas due to the big range of sports clothing and accessories they offer, but you may not be aware of their jump rope selection. They produce some excellently packaged and practical ropes that are great fun to use. RDX. 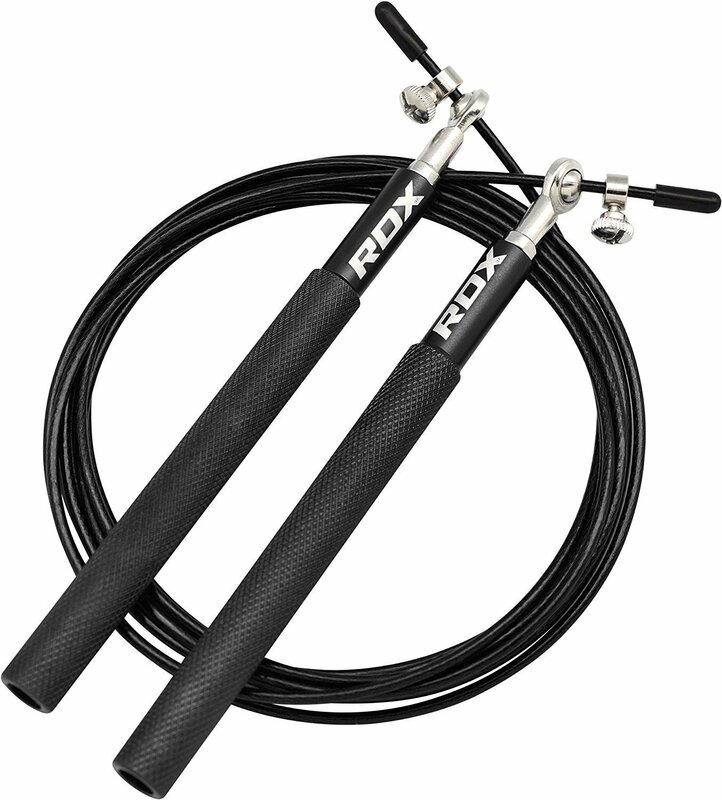 Another big name in the world of boxing jump ropes, RDX is a smart, professional choice for letting you work out in style and with complete confidence in your rope. Beast Gear. 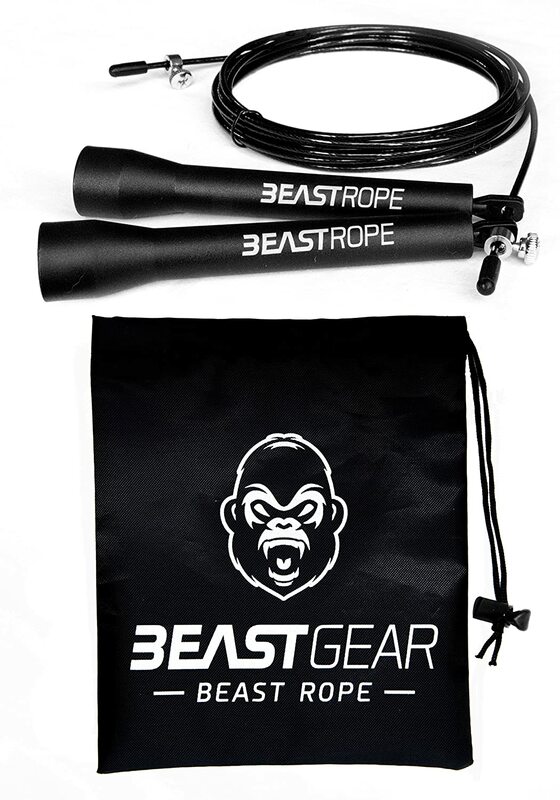 The top class speed ropes offered by Beast Gear are well worth taking a look at. They use the latest technology to give you ropes that can be used for intense, ultrafast workouts. Survival and Cross. This well-known fitness firm has a strong reputation for producing quality, stylish jump ropes at decent prices. You can choose from a range of different types of rope from them. Bemaxx Fitness. Another great choice, this firm produces practical and versatile ropes at good prices. They also tend to include extras such as exercise guides and a carry case. Adjustable up to 2.8 metres, so anyone can use it. Easy to move around in its own lightweight carry case. The right jump rope will give you an easy, efficient way of getting into shape for the boxing ring. It isn’t going to be a particularly expensive purchase and it will give you years of excellent use if you look after it well. To get started you need to work out the right length and material for your needs. 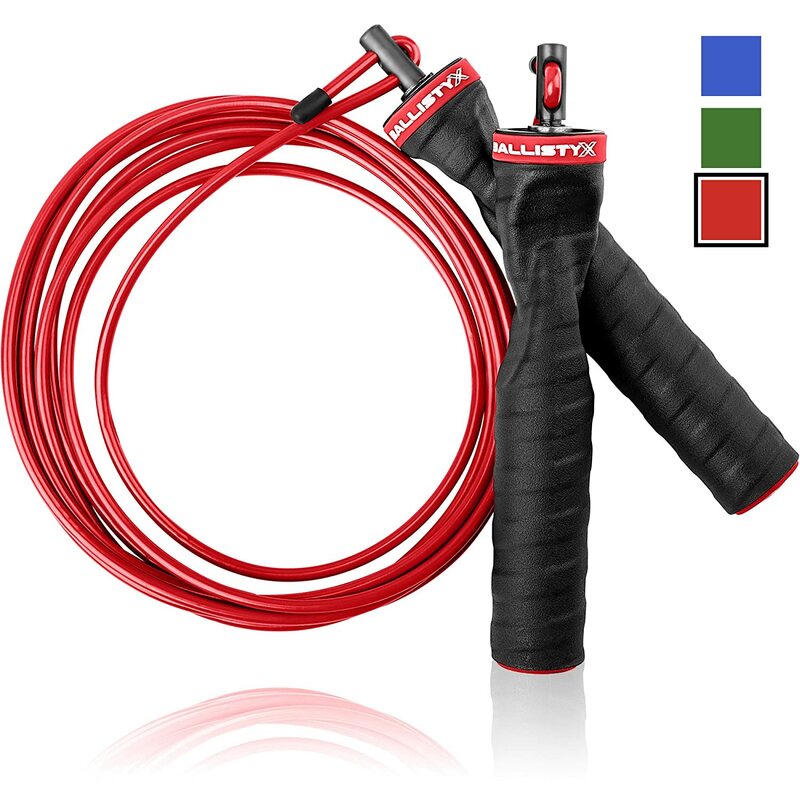 Having done that, it is simply a question of choosing a model of jump rope that you like the look of and then work hard at being comfortable using it.